Faraday: *sigh* Mommy forgot. Again. 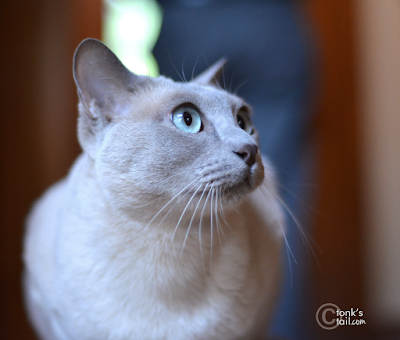 This Tonkinese has a Platinum Mink coat - and a Silver Spoon firmly in his little mouth. Spoiled? Nahhh. 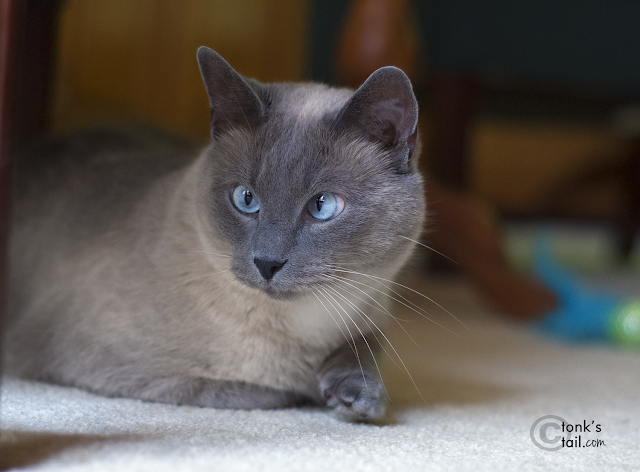 Maxwell: But dood, technically, you're not even a Meezer. You're ah, uhm, a...Neezer? Faraday: Don't mess with me when I'm on a roll, Maxie. Now where was I? The two boyz together. Blue point and Platinum mink! Oh and fangs. I think that calls for an extra helping of Bonito Flakes, don't you? Our thanks to Sierra at Fur Everywhere who reminded our mom that she was a slacker yesterday!! Don't listen to Maxwell, Faraday - you are Meezer enough to be annoyed that your human missed Meezer Color Day! My human spaced out too - but Boodie didn't even notice. Yes please to an extra helping of Bonito Flakes! PS. It was lovely to meet you and chat at BlogPaws, you make a 'mean' leaded cocktail that's for sure!!! 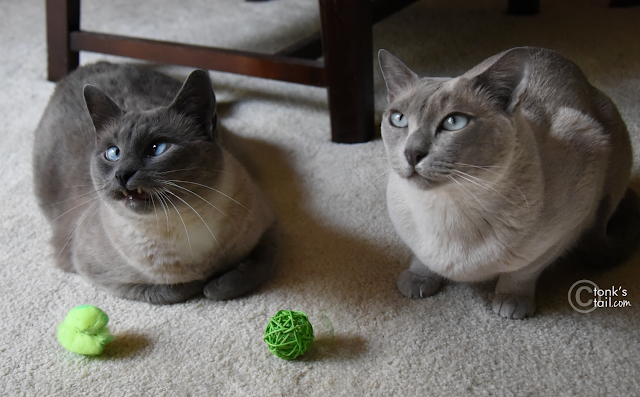 You both rock the meezer colorings! I think you two are so adorable that you should be given absolutely anything you want. Anything! Beautiful pictures. I love the last one with them together. You both have lovely colours. OMC bonito flakes make EVERYTHING better!!! We think you're both pawsome! Meezer or not, you're both handsome mancats. Looking as handsome as ever!